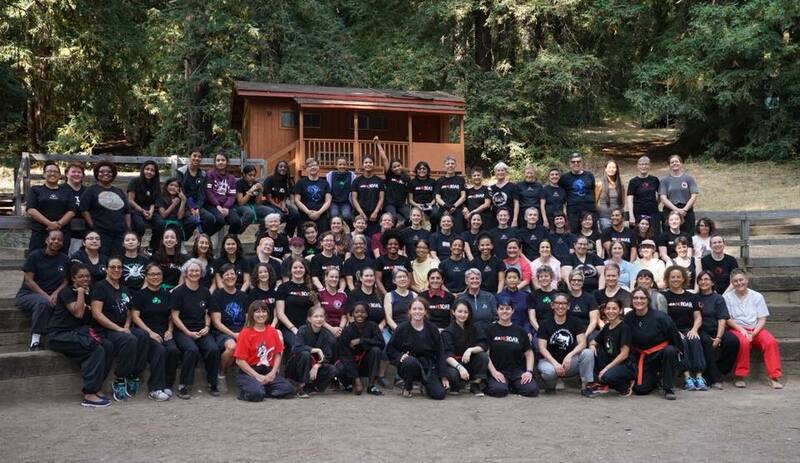 Be part of an active community of women martial artists. 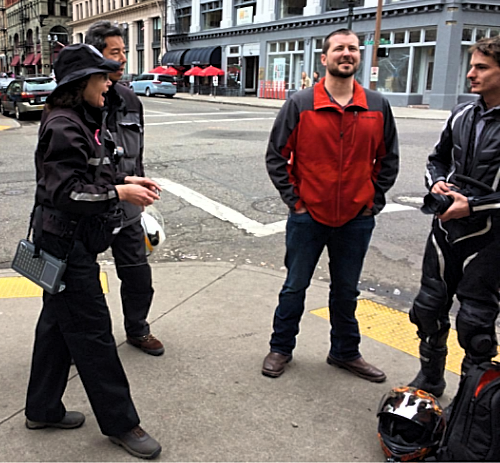 Parking Enforcement Officer Patty O'Linger dispenses parking justice on the streets of Portland, Oregon. Photo by Webly Bowles. “Hey! Hey!! I’m right here! What are you doing! ?” I hear shouted in my direction. Every now and then there are offensive words included. Such is the life of a parking enforcement officer. “I’m so glad to see you.” These are the first words I say to the upset driver returning to the car I just cited, as they stop running and yelling. It’s not what they expect. I disarm them with my warm greeting, rather than starting a lecture. They quickly rattle off some kind of excuse for their violation: “I just ran in for a moment” (when they didn’t pay to park); “My boss kept going on and on in our meeting” (when they are 20 minutes overtime); “I didn’t understand the sign” (when parked in a truck loading zone). Support a woman martial artist: give a PAWMA gift certificate. PAWMA gift certificates can be used for camp or applied to new or renewing memberships. We welcome all women and girls including individuals who are transgender, non-binary or self-identify as female. We aim to make our training spaces as accessible and inclusive as possible for our diverse community. Please contact us if you are wondering if this is a good program for you or your youth. Are you a woman or girl training in the martial arts? Do you want to support women and girls training in the martial arts? Do you enjoy experiencing other martial arts, and sharing your own? Are you moving and looking for a school or teacher in your new location? Are you a beginning student and want to experience a variety of styles before you settle on one? Are you an advanced student and want to reinvigorate your training or train with other master teachers? 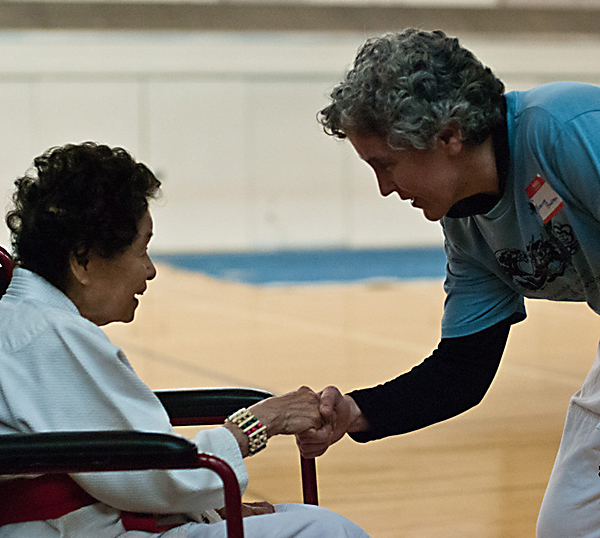 At PAWMA, we believe that the martial arts have special value for women, whether pursued for self-expression, self-protection, spirituality, or physical health. We are committed to encouraging women and girls to train, and to promoting an atmosphere of respect and support for women martial artists of all styles. 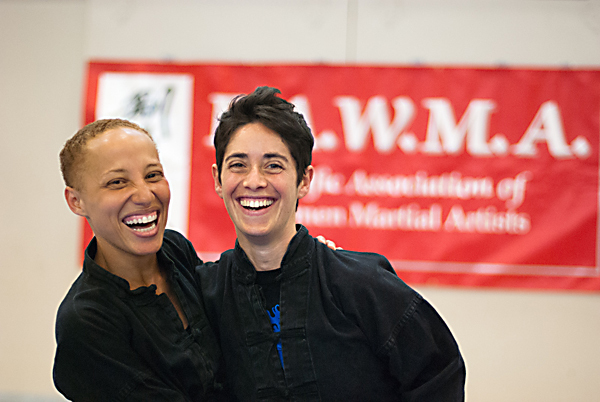 Membership is open to everyone who supports the full and active participation of women in the martial arts. Join PAWMA and be part of a vibrant martial arts community!